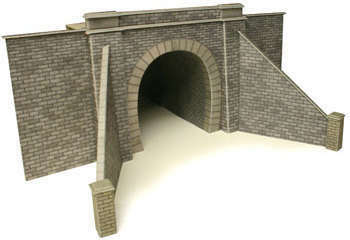 Recommended price £10.00 A pair of single track tunnel entrances with wing walls. Tunnel entrance is 70mm wide. Extra stone sheets are supplied so that you can add extra retaining walls or convert the two into a bridge.